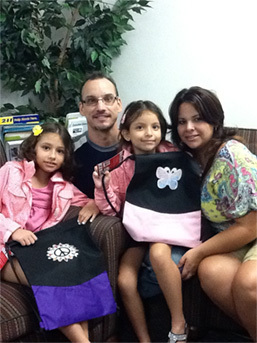 Welcome new Open Choice Families! You are joining over 2,300 dedicated and engaged parents and students who are committed to academic excellence, diversity, inclusion, and community. Now that you have accepted your Open Choice seats, please follow the process below to secure your child’s enrollment in his/her new school and the Open Choice program. Complete the Open Choice online registration forms. You will receive a link to the registration forms in your RSCO placement email and/or a welcome email from Open Choice. Call your child’s new school or registrar’s office to schedule an appointment to register. You MUST complete your child’s registration before the registration deadline date indicated in your Open Choice welcome email. If registration is not completed by the deadline date, your child may lose his/her seat and will be placed at the bottom of the waitlist. See below for district contact information. If you do not have all of the documents, keep your appointment and get the missing documents to the registrar by the deadline date. Open Choice Early Beginnings (OCEB) is pleased to welcome new preschool and kindergarten students and families to the Hartford Region Open Choice Program. If you accepted your child’s Open Choice placement and registered in the district, an OCEB Resource Specialist will contact you in August to answer any questions you may have and to schedule a time for you and your child to meet with an OCEB representative. We would love to have an opportunity to formally welcome you to the program. During this visit, your child will participate in a play-based activity with an OCEB representative. The play activity is designed to take no more than 15 minutes and is designed to be a fun and informal experience for your child. The OCEB Resource Specialists, Peggy Gomez-Hixson and Maggie Sullivan, serve as your main point of contact throughout the registration process and transition to your child’s new school. They will be able to assist you and answer all of your questions. Please select your district below, then select your new school to download the information sheet.